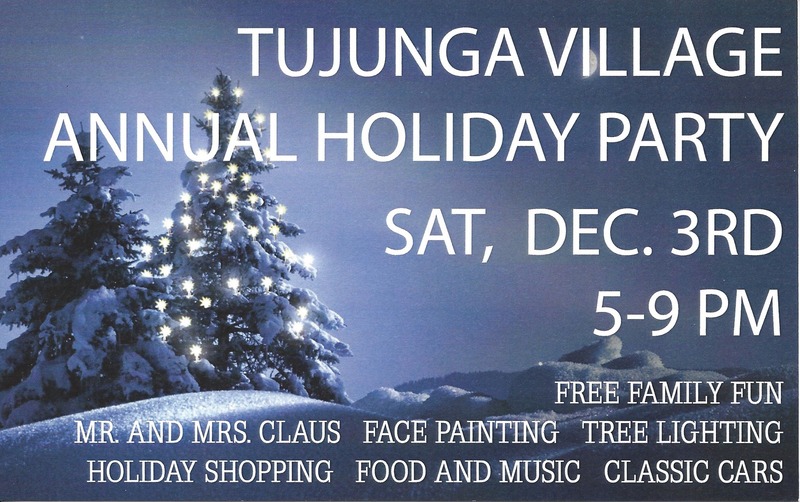 Nestled between Colfax Meadows and Woodbridge Park is a little spot called Tujunga Village. There are trendy shops and great restaurants on Tujunga Ave between Moorpark and Woodbridge. Each year the shop owners host their neighbors in a holiday open house, with caroling and facepainting, a collection of classic cars and sweet treats. It’s a very neighborly way to ring in some holiday cheer! It’s that time of year: Nutcracker are out in force! By that, I mean productions are everywhere! One of the best in town is Los Angeles Ballet’s own original production. This version of the show is perfect for families as it is about two hours long, and has one intermission. 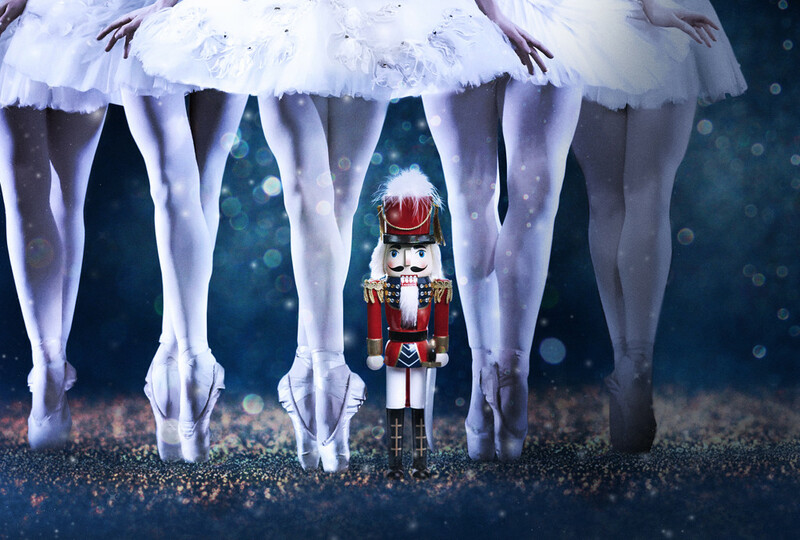 You know the story: follow Clara and her Nutcracker to the magical Land of Snow and to the enchanted Palace of the Dolls where all of Clara’s favorite toys and sweets come to life. 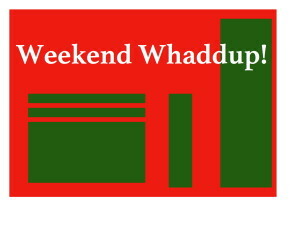 The show is at 7:30 p.m. on Saturday and 2 p.m. on Sunday. 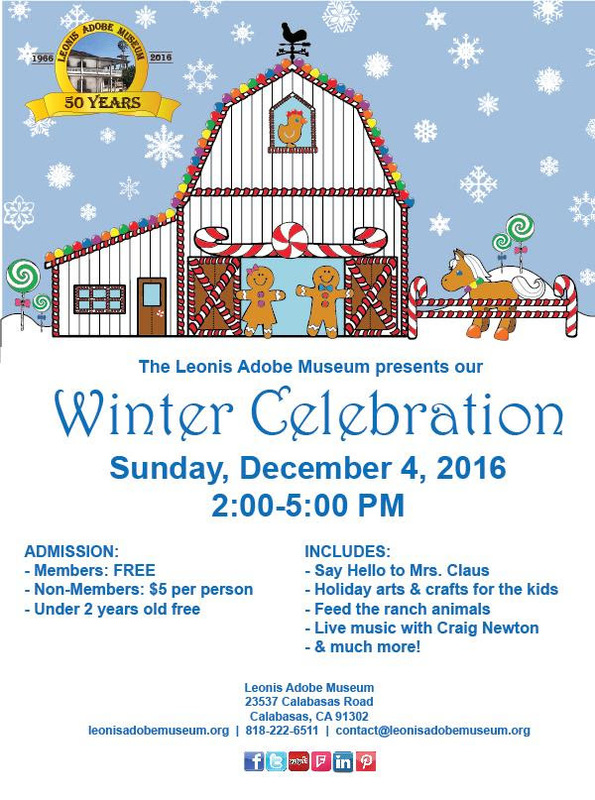 when: Dec 4 at 2 p.m. to 5 p.m.
Crafts, music and fun are the name of the game at this Winter Celebration for the whole family at the old adobe. This little spot in Calabasas is a must see, if you haven’t already seen it. Even though I have, I still like going back. Say hello to Mrs. Claus, do arts & crafts, feed the ranch animals, listen to live music, have snacks and more. 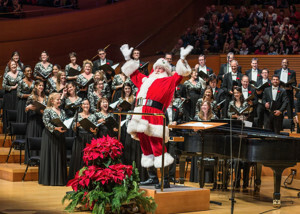 when: every Saturday at 2 or 8 p.m.
Ring in the holidays at Walt Disney Concert Hall with your favorite carols and songs of the season sung to perfection by the Master Chorale. Festival of Carols has something for everyone–traditional favorites, new arrangements and undiscovered gem. If you like carols, seriously, this is the place to be. The surroundings are stunning and nothing says Christmas like downtown LA! Santa will be available to meet with kids of all ages after the performance. But don’t forget, he knows if you’ve been naughty or nice! Free for all ticket holders. Just the right size for your train obsessed tot, you won’t want to miss the L.A. tradition of a trip to Travel Town for a train ride that stops at Santa’s Village. Santa, himself, will be on hand so young and old alike can tell him their Christmas wishes. Each kiddo gets to tell Santa their Christmas wishes, then get a candy cane and a special little gift. Mrs. Claus will also be there to say “hi” and talk about life at the North Pole. Santa’s helpers will happily take your picture with Santa (for purchase) as a keepsake of your visit. And after visiting Santa you can board the Santa Express at Travel Town Station for a trip through a wonderland of holiday lights and scenery. Tips: On weekends and the last few days before Christmas, the train rides do sell out, so be sure to get tickets online in advance. Also, it gets shockingly cold for L.A. – dress warm. You are going to the North Pole, after all!